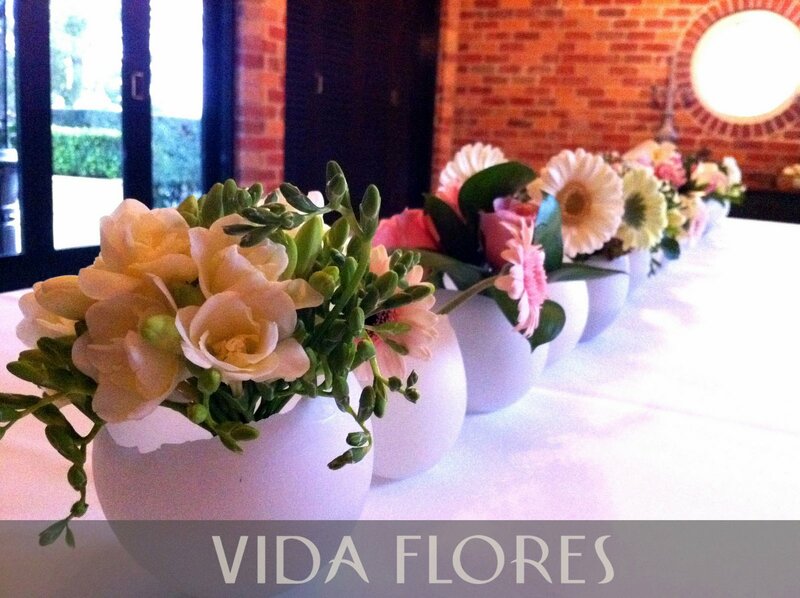 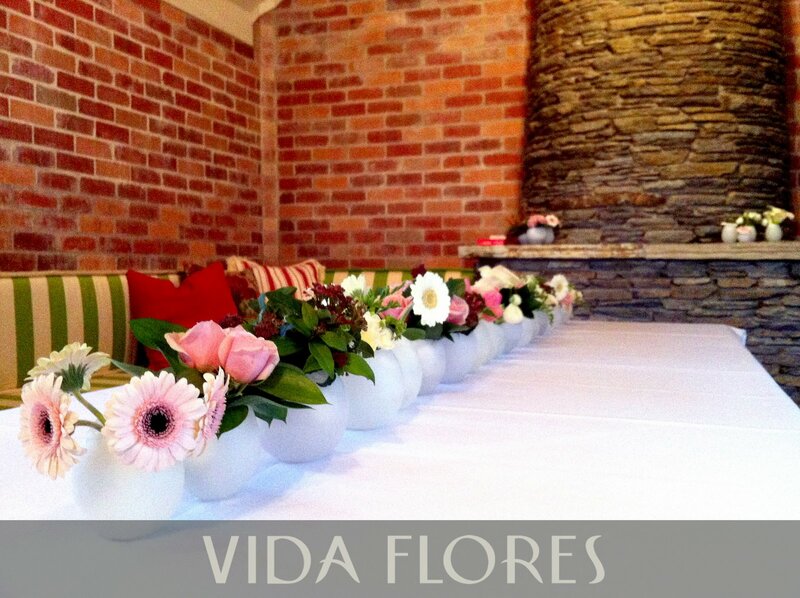 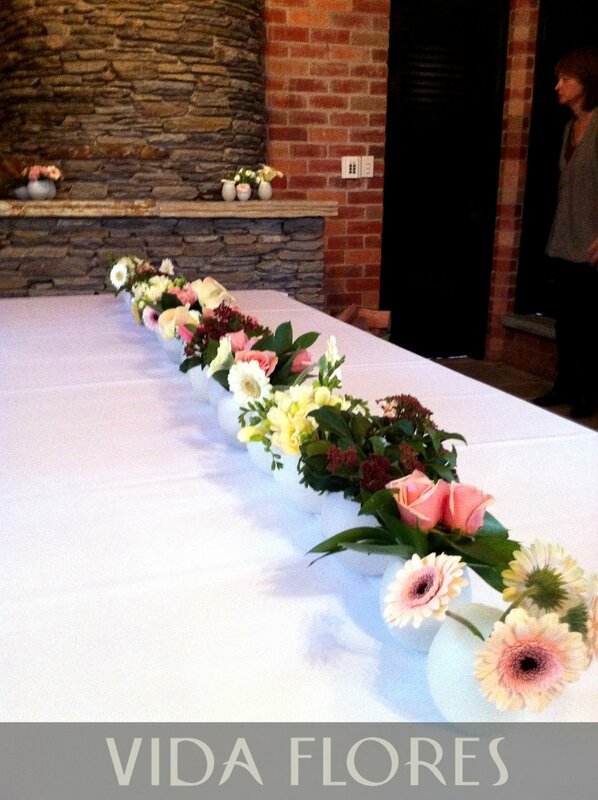 A medley of pretty pastal pink tones and creams in this wonderful table display for a young female's birthday bash. 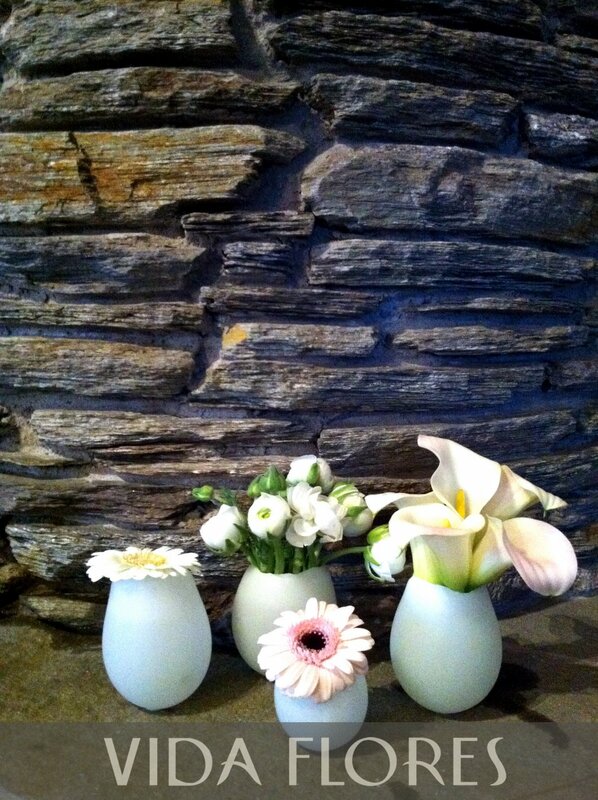 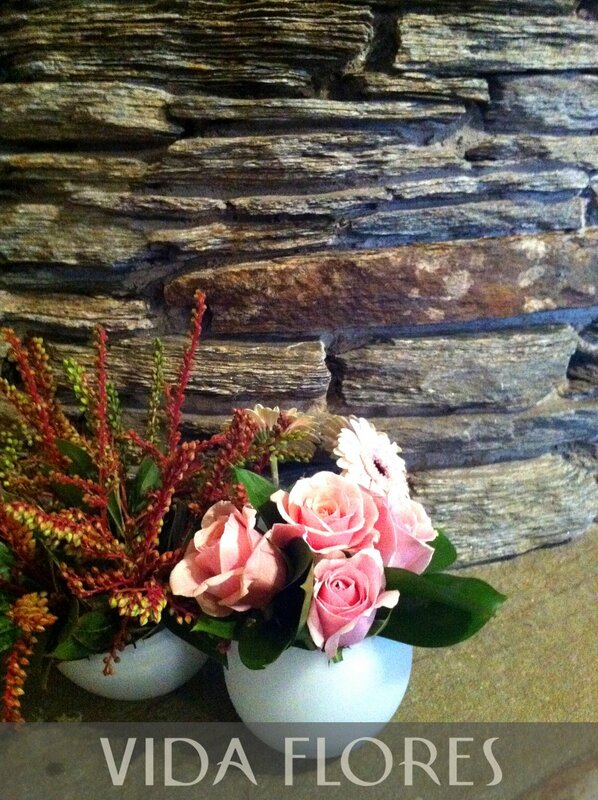 We just love the wax vases and this recent installment was a real treat with the white version of them. The mini posies of freesia and roses with germini and callas scattered throughout worked perfectly together to achieve the overall look ideal for a young lady.